Can Design Stop A Brand’s Decline? It’s very hard to launch any kind of logo redesign and not look stupidly superficial. To the credit of Coca-Cola and its global team of executives they almost got away with it last week. Repeated references to the company’s ‘One Brand’ strategy and constant mentions of Coke’s long and venerated heritage made it clear that this was a seriously important move. Coke’s Q1 global sales, also announced last week, continue to frighten investors so the company needed to do something, anything, to allay their fears. 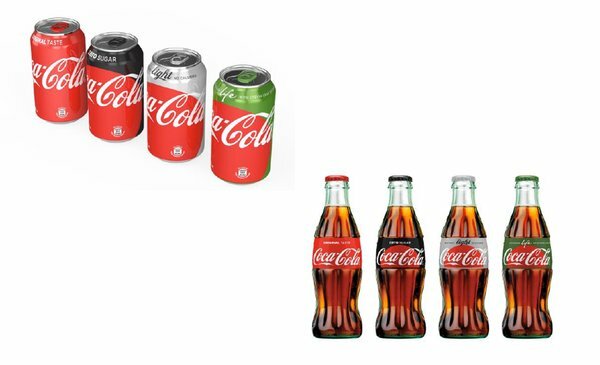 So far, the outside world remains less than enthused about the new design, which sees the iconic red circle with white logotype extended across all four Coke variants in both can and bottle form. Many critics suggested that consumers would be bamboozled by the more uniform design and pick the wrong Coke (the horror!) as a result. Others suggested that the new red circle conveys a vaguely menacing Japanese feel, as if a band of deadly Yakuza had stormed Coke’s Atlanta offices and taken control. Many more trotted out the old New Coke cliché and claimed (for the 400th time) this was the biggest mistake since that famous debacle in 1985 when the company changed the recipe of its flagship product. None of these criticisms is particularly accurate or concerning. Coca-Cola doesn’t do this kind of thing lightly. The design took a total of 18 months to complete, involved six global design agencies and relied on data from 14 separate market tests. As with most big marketing decisions, a couple of big market tests will always confirm whether your approach is going to work and how much incremental money it will save or generate. The new Coke label is important for marketers because it illustrates the growing awareness of the power of the graphical elements, other than the logo, that can grab awareness and quickly imply brand image in the mind of the consumer. Some call them codes, others have named them distinctive assets, some refer to them as brand icons. Whatever the terminology, they are becoming increasingly important to marketers as consumer attention wanes and brand proliferation increases. Every brand has a logo. And a logo is a code of the brand. But some brands, especially older and more creative ones, have other graphical elements that consumers strongly associate with the company. Sometimes it’s a specific color like Tiffany blue – or Pantone 1837 to be litigiously precise. Occasionally it’s a specific pattern or motif like the check of Burberry or the red star of Heineken. It can sometimes be a more specific image like the horse for Hermès or the Cartier panther. You get the idea. In my experience identifying all the brand codes that exist and then getting a company to focus on only a select few to build their presence in the market can be just as important as the work done on brand positioning or brand architecture. Stage one is working out what the long list of potential codes looks like. Stage two is operationalizing a smaller sub-set that the company will explicitly focus on going forward. Stage three is scrupulously applying these codes to every possible consumer touchpoint. Consumers tire of logos very quickly, but a creatively or cleverly applied code can fascinate and compel a consumer in equal measure. It’s a magic trick most brands miss. It’s amazing when you look at a company’s advertising or its digital presence just how generic and free from codes most touchpoints are. This is more than just packaging; brand codes can be abstracted and used everywhere. I’ll wager that the Coke circle is going to be appearing in a lot more places than the side of the can by the end of the year. Every pixel is an opportunity to build brand if you believe in codes, but you have to know the codes and how to apply them to reap the benefits. While I continue to believe that Coke is about to experience the kind of market erosion that will see their organization fall and possibly fail in the difficult years ahead, I do admire the way they are fiddling while Rome gets toasty. The now ubiquitous Coke circle, along with the deep red color, the curved silhouette of its iconic bottle and Haddan Sundblom’s Santa Claus illustration provide – along with the logo – a rich symbolic vocabulary to help activate Coke’s One Brand strategy. They won’t stop the brand’s ultimate decline, but they might go some way to delaying it. Don’t Face Brand Challenges Alone. Join us for The Un-Conference: 360 Degrees of Brand Strategy for a Changing World, May 2-4, 2016 in San Diego, California. 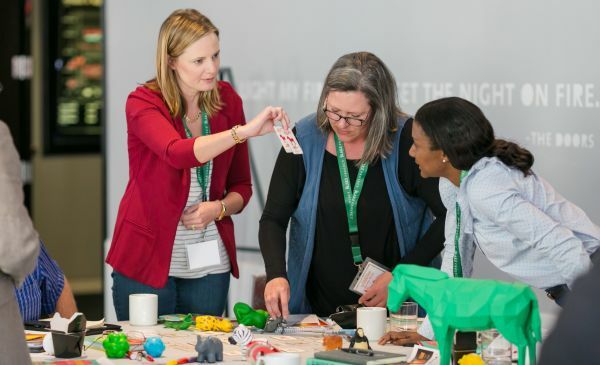 A fun, competitive-learning experience reserved for 50 marketing oriented leaders and professionals.